The practice of Vajrakila is famous in the Tibetan Buddhists world as the most powerful for removing obstacles, destroying the forces hostile to compassion and purifying the spiritual pollution so prevalent in this age. 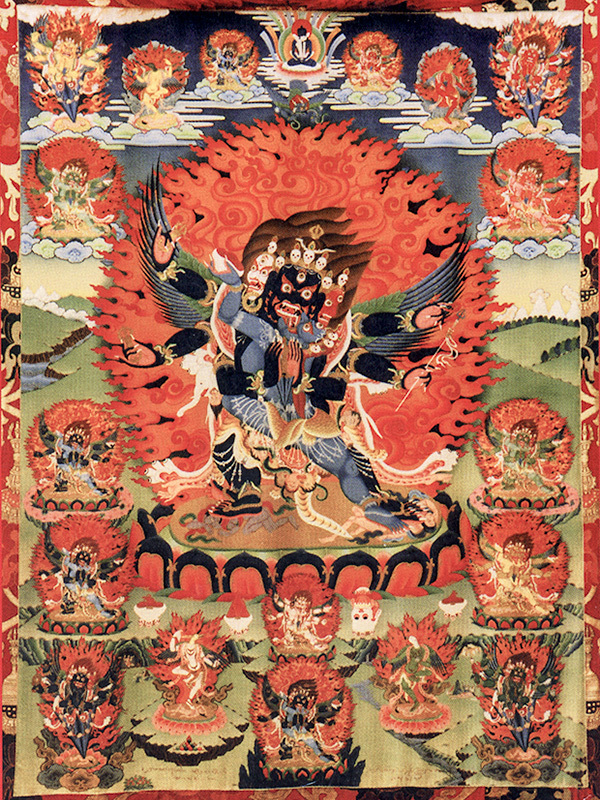 The wrathful Heruka Vajrakila is the Yidam deity (one of the three roots, the other two being Lama and Khandro) who embodies the enlightened activities of all Buddhas, manifesting in an intensely wrathful yet compassionate form in order to subjugate the delusion and negativities that can arise as obstacle to the practice of Dharma. Vajrakila can be practiced on either the 9th, 19th or 29th day of the lunar month. Our sangha has been directed to practice Vajrakila on the 29th day.